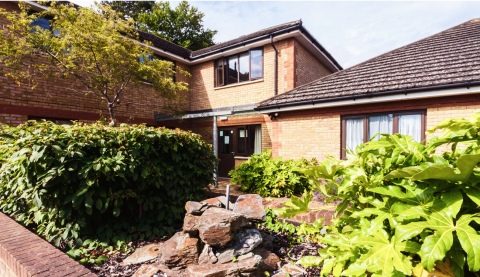 AD Architects was commissioned to prepare feasibility studies and to help draft a development brief for Hertfordshire County Council to re-provide a time-expired 1970s home for people with learning difficulties. Following extensive stakeholder consultation we agreed a way to build the new home without demolishing the existing building, which avoided the need for temporary accommodation. The solution includes a combination of residential and supported units, heart and ancillary spaces, and the design approach deliberately sets out to make the home look like traditional housing and avoids an institutional feel. We then worked with the Council to select a suitable development partner from a shortlist of six housing associations and we then partnered with Origin Housing to deliver the final scheme. 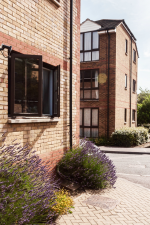 The whole development includes general needs housing, comprising 18 flats and 13 houses, built as further phases when the original building was demolished.